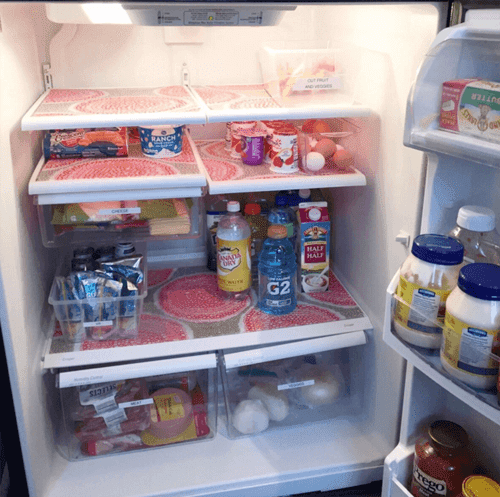 Keeping a fridge clean, tidy, and organized take a lot of time and effort. With stuff constantly being taken out, put in, moved around, shoved to the back, and forgotten about, it is near impossible to actually maintain on your own. The worst part is when food inevitably spills inside the fridge, leaving a mess that’s a pain to clean up. Trying to prop open the doors to clean while keeping the food fresh and cold is not an easy task. But there is an easier way. 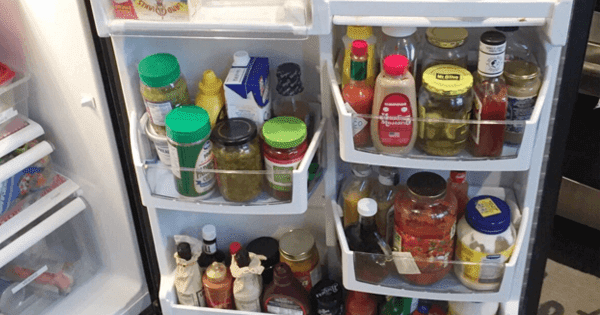 Thanks to Amy from Life From Home, this trick involves using place mats in order to keep the shelves and drawers in the fridge from getting covered in gunk (saving you cleaning time). Not only do placemats come in an array of colors and cute designs, they are easier to clean than the shelves themselves. It works even better if the place mats are made from plastic and are dishwasher safe as well. Then, all you have to do is slide them out, place them in the dishwasher, and allow them to clean themselves. Plus, the food doesn’t have to sit out on the counter while you scrub and you don’t have to waste any energy from leaving to fridge door open. 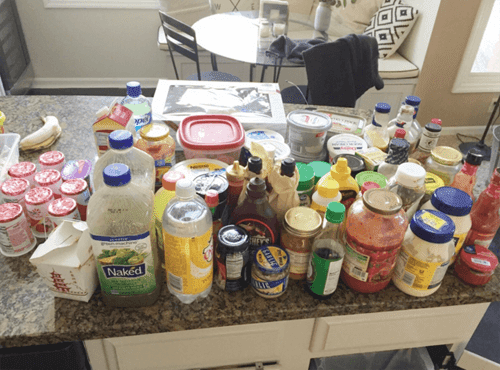 In Amy’s case, her fridge was an utter disaster before she started this project, so she had to set the food on the counter while she did some added scrubbing for the last time. 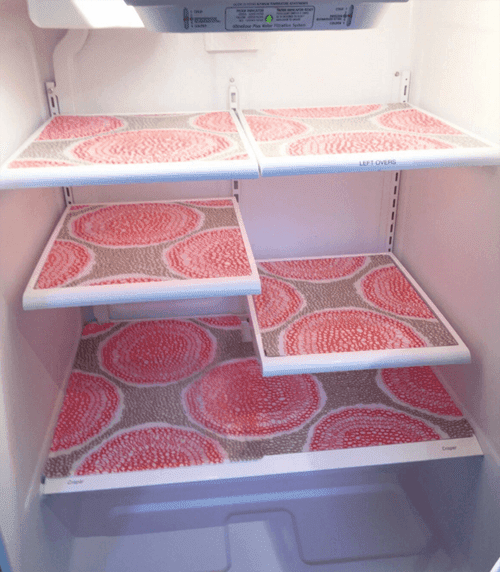 She cut the placemats to fit the exact shape of the shelves in her fridge. You could even add some to fit the bottom of the drawers as well. Amy threw away anything that was expired and placed all the fridge’s contents back into place, adding some labels and baskets to help keep things organized. The fridge turned out looking better than ever and Amy even has a lot more space than previously. To learn more about Amy’s fridge organization project, here.